Jens Lindemann is hailed as one of the most celebrated soloists in his instrument’s history and was recently named “International Brass Personality of the Year” (Brass Herald). Jens has played in every major concert venue in the world: from the Philharmonics of New York, Los Angeles, London, and Berlin to Tokyo’s Suntory Hall and even the Great wall of China. His career has ranged from appearing internationally as an orchestral soloist, performing at London’s ‘Last Night of the Proms’, recording with the Mormon Tabernacle Choir to playing lead trumpet with the renowned Canadian Brass and a solo Command Performance for the Queen of England. Jens has also won major awards ranging from Grammy and Juno nominations to winning the prestigious Echo Klassik in Germany as well as receiving an honorary doctorate. Classically trained at the renowned Juilliard School in New York, Jens’ proven ability to perform as a diverse artist places him at the front of a new generation of musicians. He has performed as soloist and recording artist with classical stars such as Sir Neville Marriner, Sir Angel Romero, Doc Severinsen, Charles Dutoit, Gerard Schwarz, Eiji Oue, Bramwell Tovey and Jukka Pekka Saraste. Having recorded for BMG, EMI, CBC and the BBC, Jens is helping to redefine the idea of the concert artist by transcending stylistic genres and the very stereotype of his instrument by performing with “impeccable attacks, agility and amazing smoothness” (The Clarin, Buenos Aires). A prodigious talent, Jens Lindemann performed as a soloist with orchestras and won accolades at numerous festivals while still in his teens. 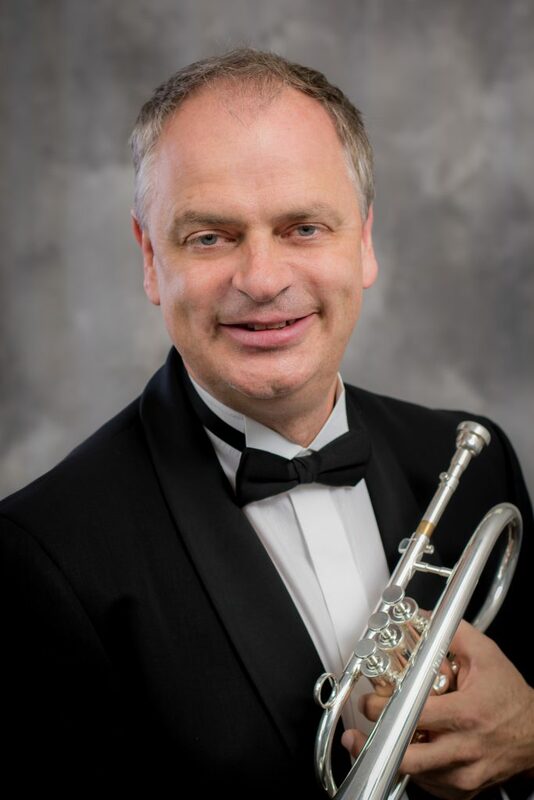 A prizewinner at numerous competitions including the prestigious ARD in Munich, Jens also placed first, by unanimous juries, at both the Prague and Ellsworth Smith (Florida) International Trumpet Competitions in 1992. Since then, he has performed solos with orchestras including, the London Symphony, Philadelphia, Beijing, Bayersicher Rundfunk, Buenos Aires Chamber, Atlanta, Washington, Seattle, Dallas, Detroit, Houston, Montreal, Toronto, national Arts Centre, Vancouver, Warsaw, Welsh Chamber, I Musici de Montreal, St. Louis, and Mostly Mozart at Lincoln Center. Heralded internationally as an outstanding artist, critics have stated: “He played with golden timbre and virtuosic flair” (New York Times)”, “a world-class talent” (Los Angeles Times), “it was one of the most memorable recitals in International Trumpet Guild history” (ITG), “performed brilliantly in the North American premiere of Bernd Alois Zimmermann’s Concerto with the Toronto Symphony” (Toronto Star), and “he gave the virtuoso highlight of the evening with the Montreal Symphony”. As one of the world’s most exciting trumpet soloists, Los Angeles based Lindemann is internationally endorsed by the Yamaha Corporation and performs exclusively on 24K gold plated trumpets.